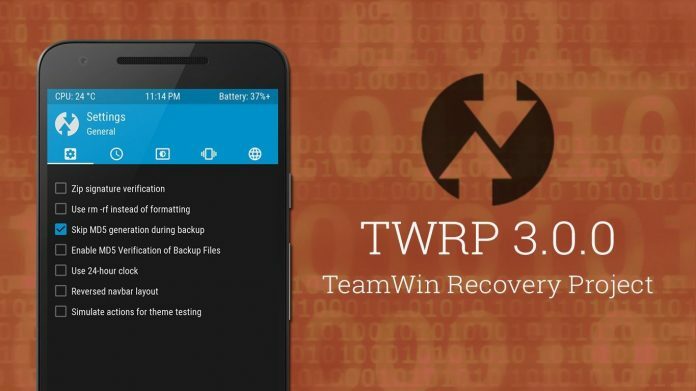 A couple of days ago, on 5th Feb, TeamWin had released their new version of TWRP (TeamWin Recovery Project). 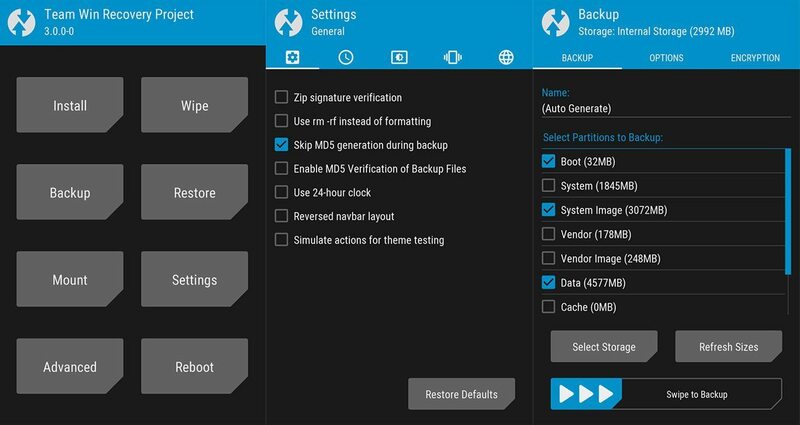 TWRP is a custom recovery for Android phones similar to CMW Recovery. The new version, i.e. TWRP 3.0.0, has many new added features and a completely new UI that matches with the new Google Material design. The complete tool has been redesigned and has been revamped for better usability. You can download TWRP 3.0 build for your phone from the link provided below. Please note that this is not a stable release and you might end up in a non-working recovery due to some major changes in the theme and UI. This new TWRP also supports intelligent third party themes from the developers, which will reset the default black theme in case the third party theme is not compatible with the TWRP version. You can track the progress of TWRP 3.0.0 here. TWRP 3.0.0 is already available for most of the supported devices, and you can download it from the link provided below. The official change logs of TWRP 3.0.0 has been listed below. True Terminal Emulator – Includes arrow keys, tab and tab completion, etc. Language translation – It won’t be perfect, and especially some languages that require large font files like Chinese & Japanese won’t be available on most devices. Also, some languages may only be partially translated at this time. Feel free to submit more translations to OmniROM’s Gerrit. To get more updates on TWRP 3.0.0 and its futures releases, stay tuned with us. To install TWRP on your phone, please refer to the official guide on TWRP device pages. ***Please flash TWRP 3.0.0 with your risk, as currently it is in the development phase and may harm your device.